[NPR]&nbsp;No one likes it when a new drug in people&rsquo;s medicine cabinets turns out to have problems — just remember the Vioxx debacle a decade ago, when the painkiller was removed from the market over concerns that it increased the risk of heart attack and stroke. To do a better job of spotting unforeseen risks and side effects, the Food and Drug Administration is trying something new — and there&rsquo;s a decent chance that it involves your medical records. It&rsquo;s called Mini-Sentinel, and it&rsquo;s a $116 million government project to actively go out and look for adverse events linked to marketed drugs. This pilot program is able to mine huge databases of medical records for signs that drugs may be linked to problems. The usual system for monitoring the safety of marketed drugs has real shortcomings. It largely relies on voluntary reports from doctors, pharmacists, and just plain folks who took a drug and got a bad outcome. 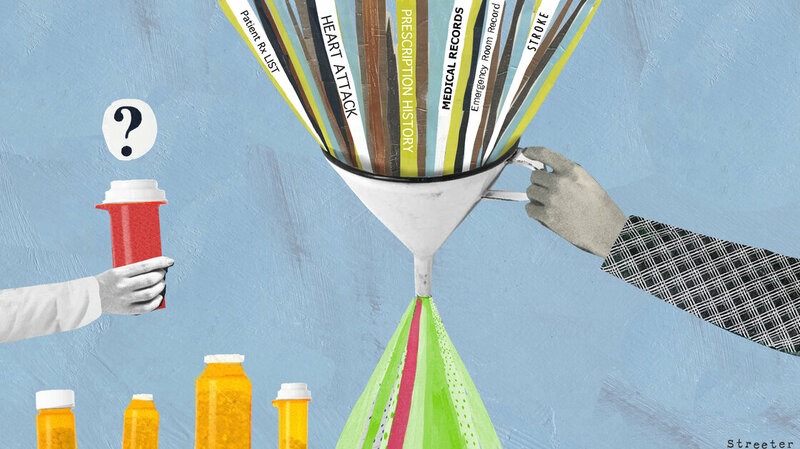 Figuring out from those reports if a drug is really to blame for the symptom isn&rsquo;t easy. And if the side effect is something common, such as a rash or a stroke, there might not even be any reports because doctors might not connect a patient&rsquo;s symptoms to the drug. “We need a rapid way to find out what&rsquo;s happening with drugs, especially safety of drugs, after they&rsquo;re approved and on the market,&rdquo; says Woodcock.